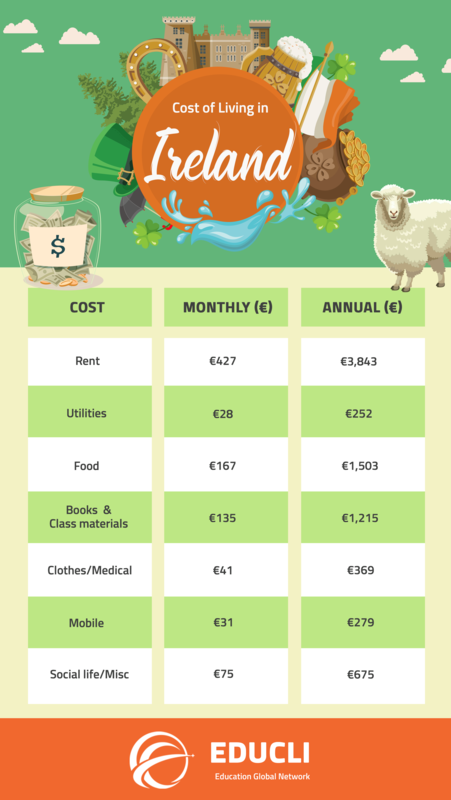 When planning to study abroad you have to keep in mind the living costs for the country and city you chose to live. It’s very important to understand that before applying for the visa so you can make sure you will have enough funds to support your study period. While you may be able to undertake part-time work during your time in Ireland, you should not have to rely on this income to meet all your expenses. As well as your course costs, there are other one-off costs (this means costs which you only have to pay once, not regularly) which you may have to pay if you are travelling to Ireland. Make a note of the ones which apply to you and estimate the total cost of these.